* F-16 figures are for deliveries and exclude losses. Egypt is considered to have the strongest and largest military on the African continent. Egypt’s military has and continues to play a major part in the country’s politics – the current Egyptian President Abdel Fattah al-Sisi was the military’s former commander. Egypt has always maintained strong military relations with the United States of America and is estimated to have received over $70 billion worth of military aid from the USA since 1948. Most of this aid comes in the form of a yearly $1.3 billion military assistance fund. As such Egypt has over 1000 M1A1 Abrams tanks, many of which are not even in use; the country also has the ability to co-produce the tanks domestically. The country’s air force is also dominated by American jets, with over 200 different F-16 models and various other US-made aircraft. However, the relationship with the US has come under strain especially after elected president Muhammad Mursi was overthrown in July 2013 and the US chose to suspend in its aid to the country, putting on hold the delivery of F-16s, M1As, AH-64s and Harpoon missiles. The US intends to withhold its aid until there is further progress towards an inclusive and democratically elected government. As a result, Egypt is turning to Russia to supply it with military equipment and is exploring the purchase of aircraft, missiles and other hardware. The Egyptian government is dealing with a variety of threats. The most pressing of which is coming from militant groups that operate in the Sinai peninsula, which has led to increased troop deployments and military operations there – it is estimated that around 220 000 personnel have been deployed to the area. There are almost daily attacks in the area which are targeted at military personnel. The military has also been reinforced along the Libyan border due to instability in the country and has even deployed flying sorties to monitor developments in the country. Security has also been bolstered along the border with Gaza, as smugglers operate tunnels between Egypt and Gaza. Training within the Egyptian military is of a high standard and with conscription in place the country has a vast pool of soldiers to tap into during a crisis. 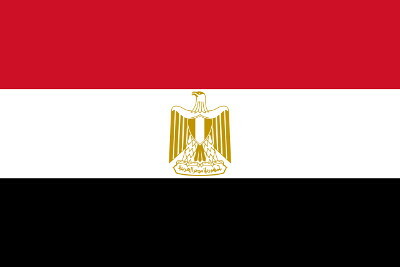 External • Egypt is currently facing no external security threat. Internal • Egypt is currently facing internal security threats presented by the rise of Islamic extremism in the country which has lead to the emergence of radical militant groups which operate out of the Sinai peninsula. Regional • Egypt faces terrorist threats as a result of the instability present in Libya to the East. Political • Egypt is considered to be politically stable since having elections in June 2014 although the country has recently gone through a series of political upheavals. Economic • Egypt’s economy took a dip during the Arab Spring . However it is has gradually begun rebuilding key sectors such as tourism, manufacturing and construction, although significant challenges remain due to the drop in tourism caused by civil unrest and terror activities.